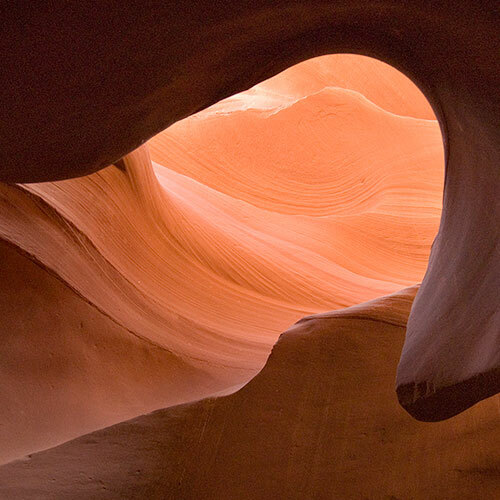 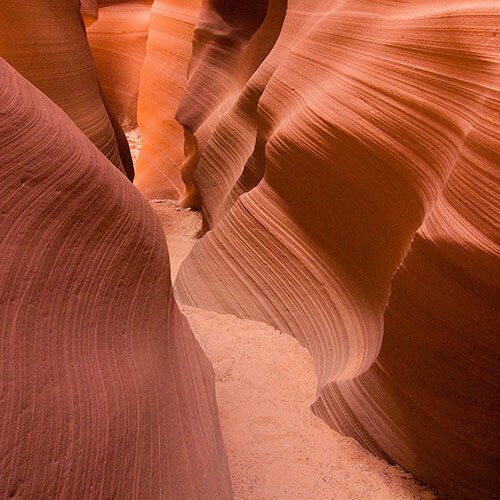 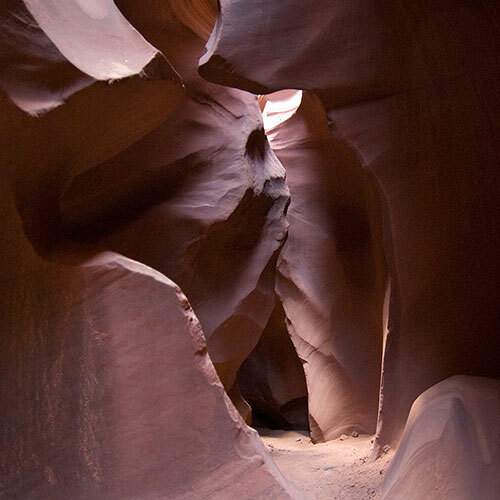 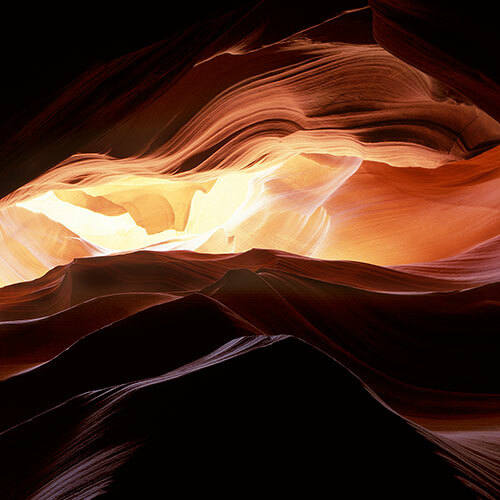 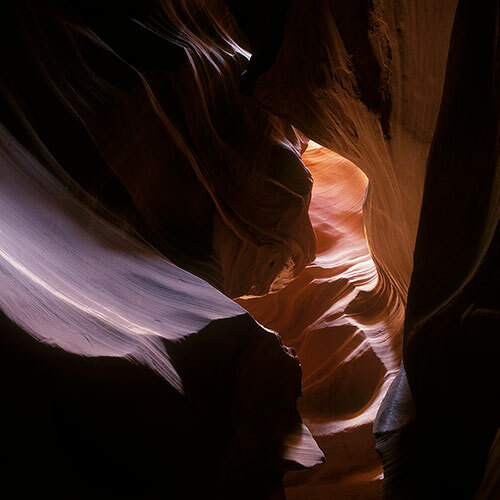 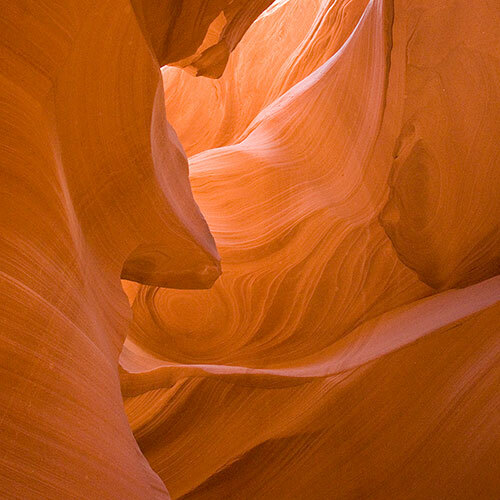 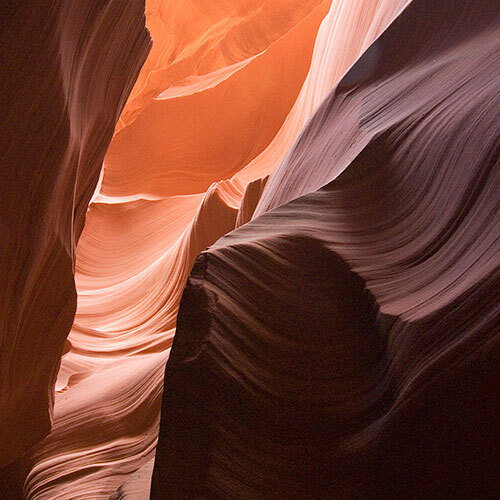 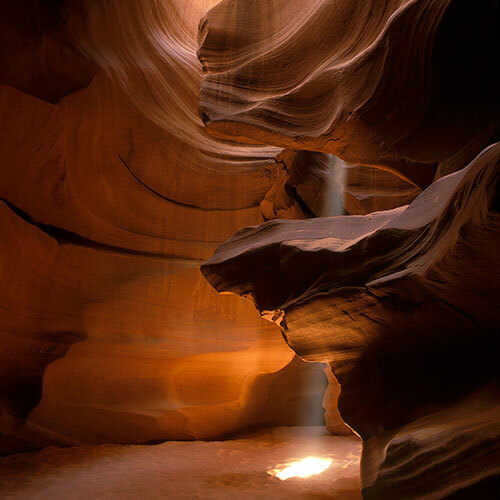 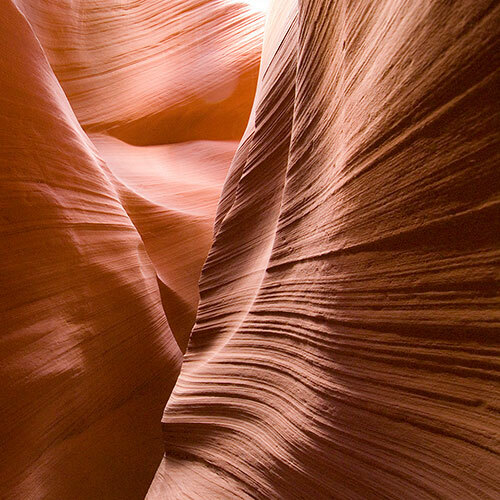 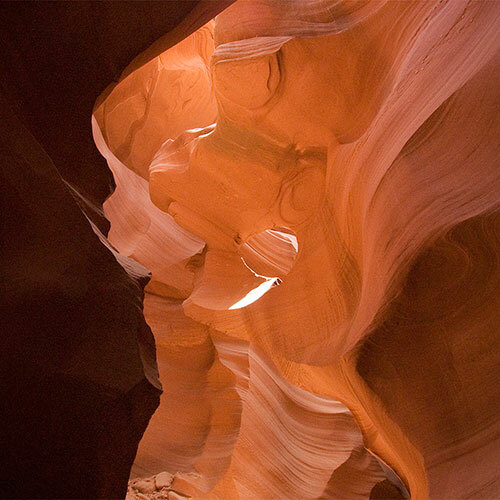 Antelope canyon, near Page (Arizona) is a slot canyon. 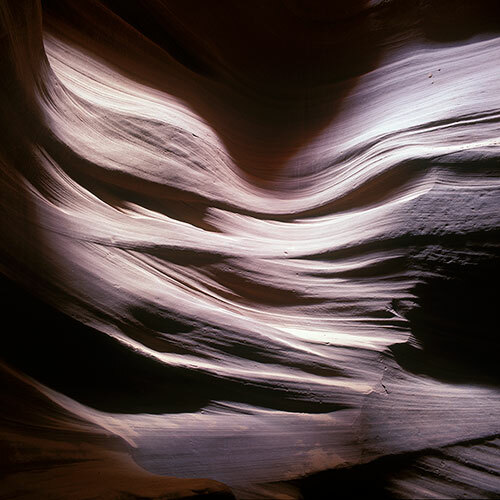 The lines and shapes in the sandstone are curved by the water from flash floods (sudden heavy rainfall) that fill the canyon in a very short period of time, and then forces its way out. 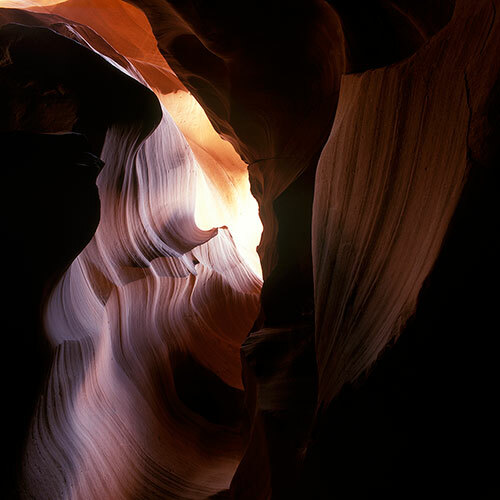 During these flash floods the canyon is a dangerous place to be. 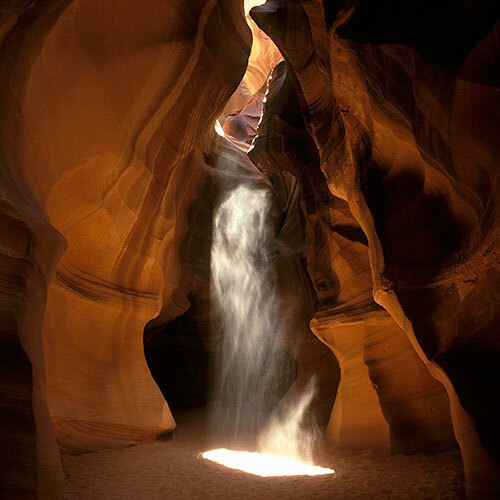 But in good weather it is a photographers paradise. 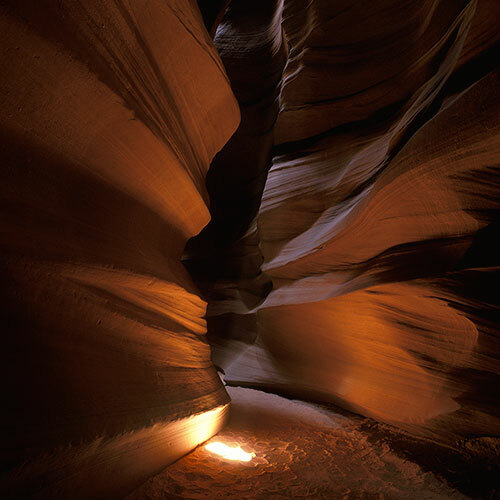 The canyon consists of two parts, the upper and the lower canyon. 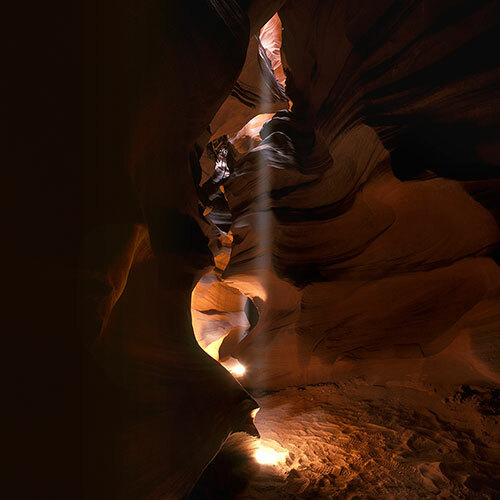 Light entering from the narrow opening at the top, reflects on the sandstone in a variety of colours, depending on the amount of light and the time of day. 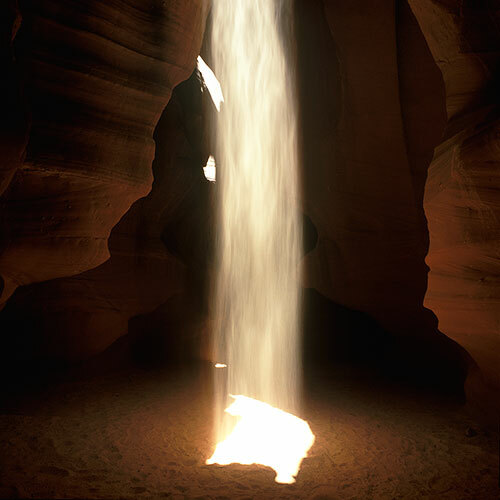 At noon on a sunny day, the upper canyon will reveal rays of sunlight entering from the top of the canyon. 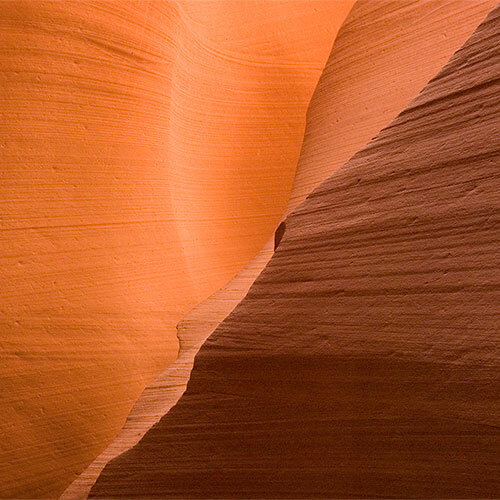 In the lower canyon the beauty is found in the details.